UK businesses are spending more on security, but it's not showing. 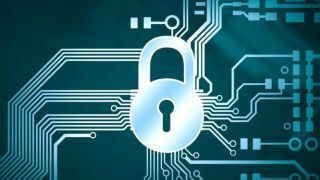 According to Thales' new report almost two thirds (63 per cent) of businesses in the UK increased their cyber security spending this year, which is a jump from last year's 54 per cent. However, despite this, 43 per cent were breached last year (Thales fails to mention the percentage difference compared to a year earlier, though). More than four fifths (84 per cent) still feel vulnerable to threats, with 20 per cent feeling 'very' or 'extremely' vulnerable. There are some strange conclusions in the report, too. For example, the majority of businesses are using traditional cyber security methods, like network and endpoint security solutions. On the other hand, 91 per cent use sensitive data in advanced technology environments, such as the cloud. Saas (51 per cent), IaaS (47 per cent) and PaaS (37 per cent) are the leading environments for this usage. Thales' report is based on a poll of 100 IT security professionals from UK organisations. You can find the entire report on this link.